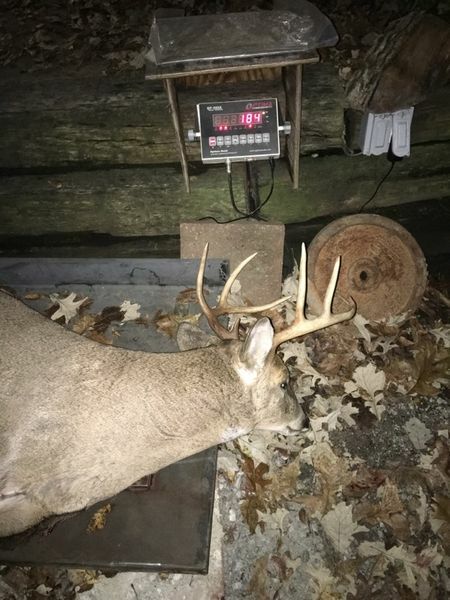 Chicago Fishing Reports | Chicago Fishing Forums • View topic - New PB from state land in Indiana on 11/3. The rut is is on. Dressed at 184 lbs. Trying to load a pic. 8 point, strolled in to check on a scrape 10 yds away. My first with a crossbow. Can't figure out the picture situation. Nice! 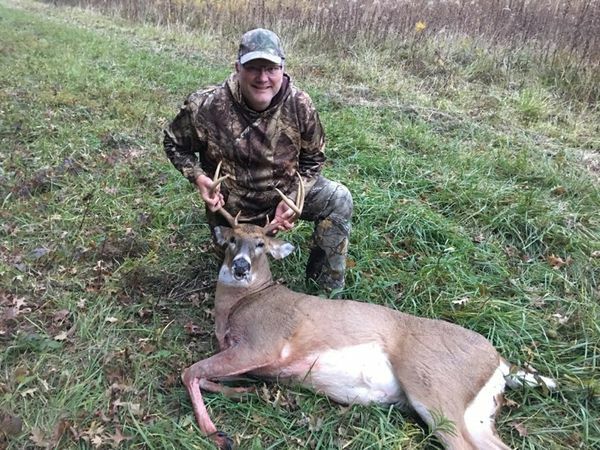 Congrats on your buck! Where do you hunt in Indiana? I started out hunting at Jasper-Pulaski and now hunt in SE Jasper County. I was at Lasalle, on the Newton County side of the Kankakee. Been to the range at Jasper Pulaski. It looks like terrific hunting ground. Yep, I know LaSalle well and have duck hunted it many times, especially the north side. Have seen some nice deer in the back of trucks in the parking lot there as well. Congrats again! Chitown-Angler was started on February 10, 2003 and has received 207587528 page views in total since that date.